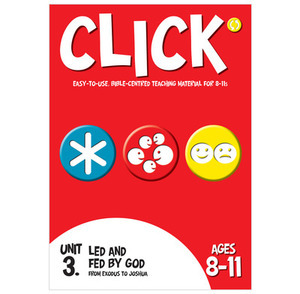 In this unit of Click (8-11s): Led and fed by God, this unit focuses on the power and authority of God by tracing the movement of His people from Egypt to the Promised land. The exodus rescue forms the focal point of the unit. It speaks of God's control of all history.